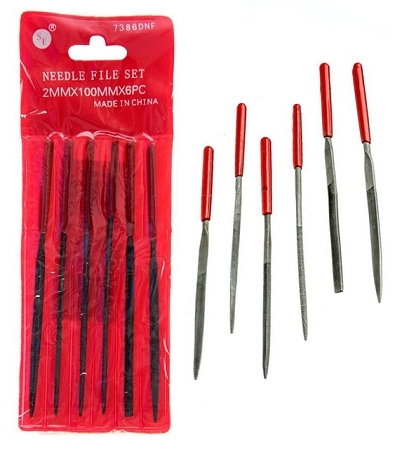 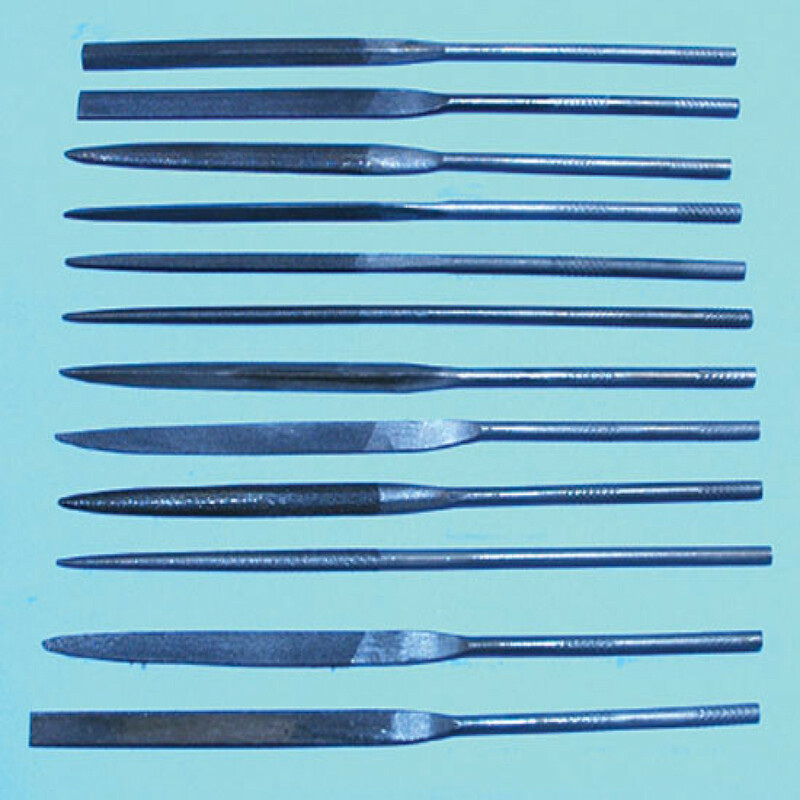 6-Piece Blue Handle Needle File Set, featuring 102 cuts per inch. 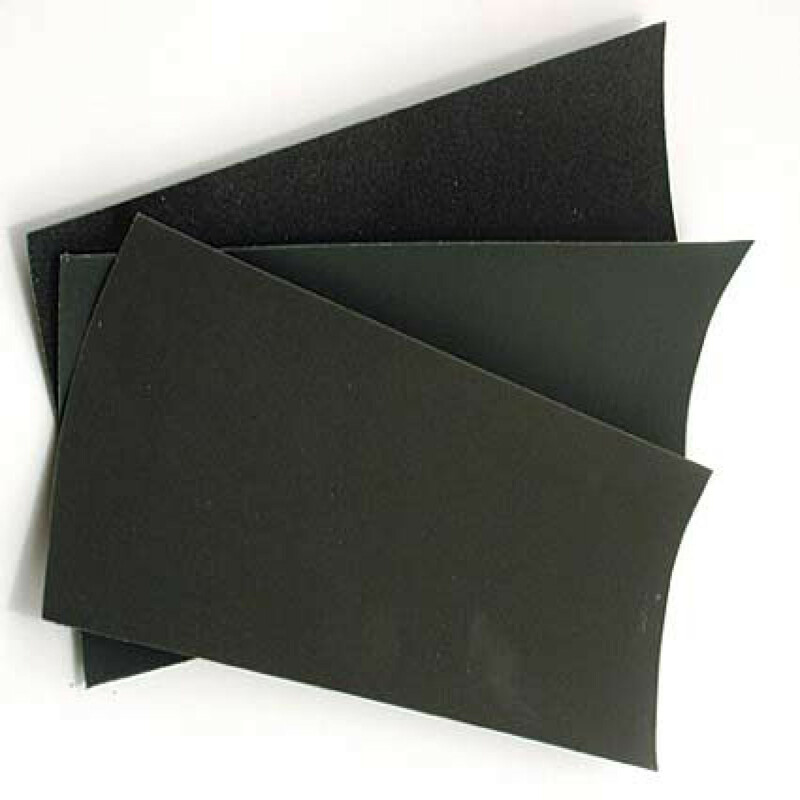 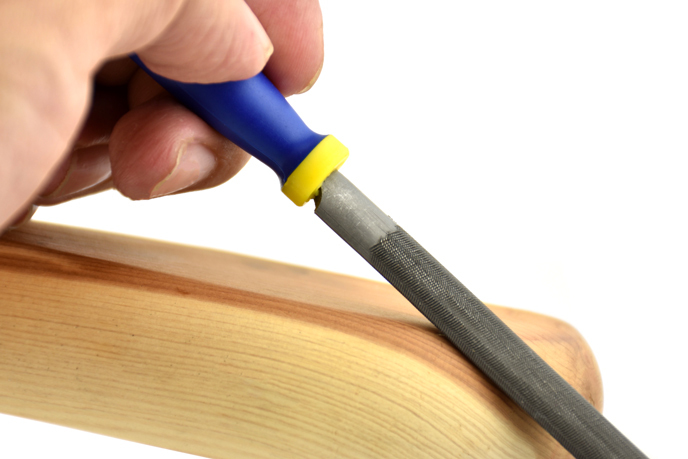 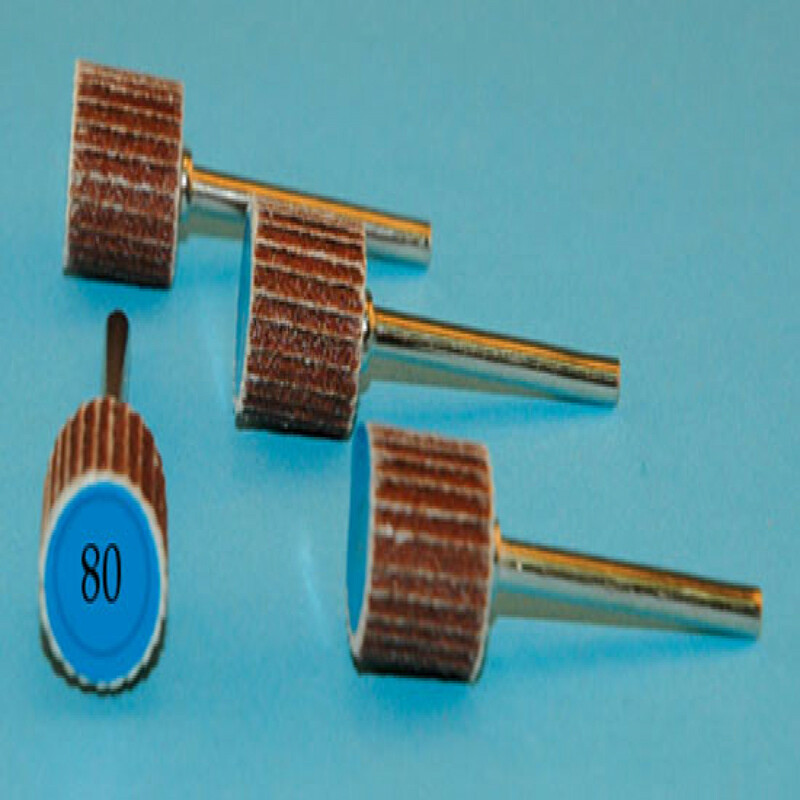 Files are used in many different situations, but are normally applied when shaping, honing, or filing unwanted flashing off of your wood, metal, plastic, ceramic or glass material project. 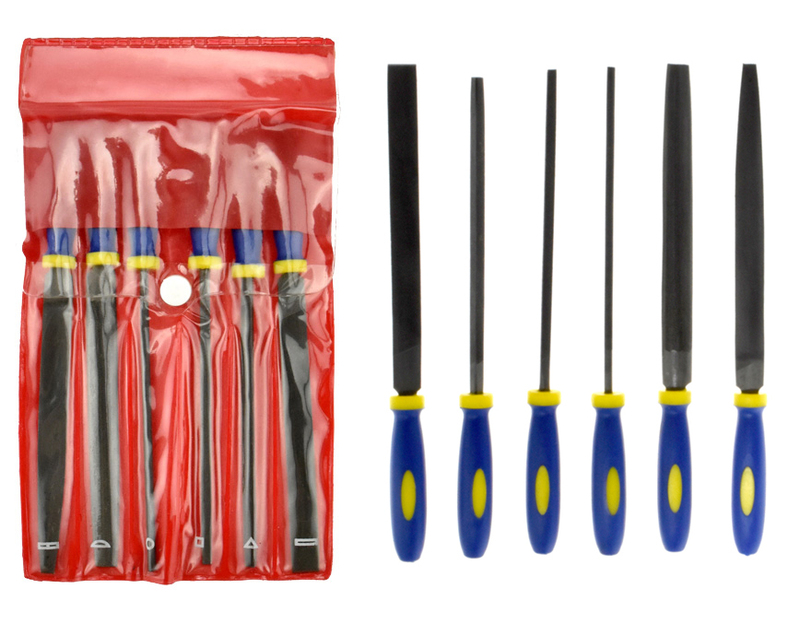 • Working Length : 3-1/2"
All 6 file shapes are crafted with 62 HRC bearing steel, making this set durable and high quality, ensuring you won’t have to purchase other files for many projects to come. 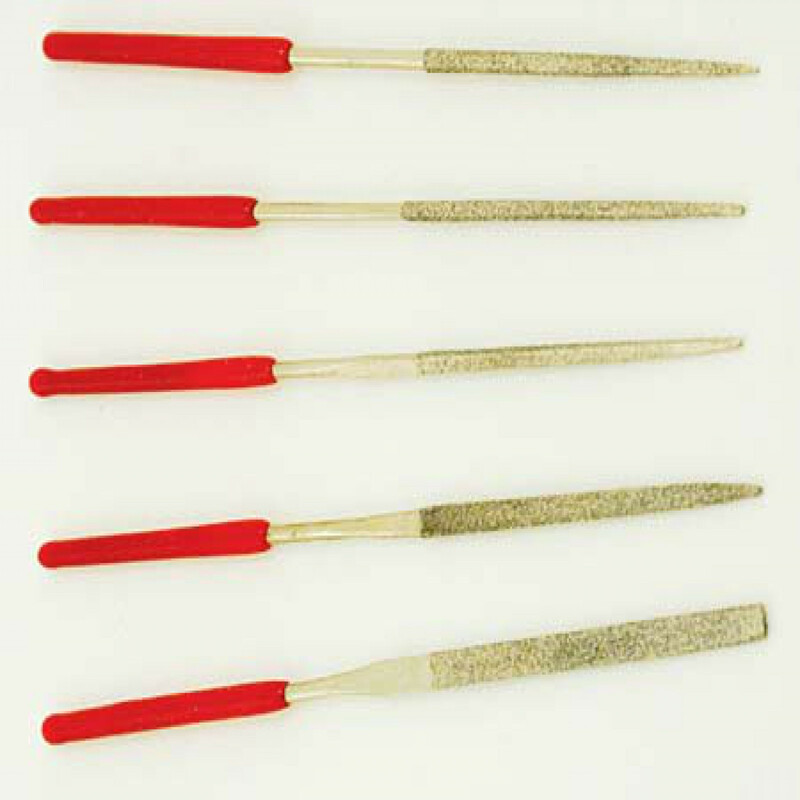 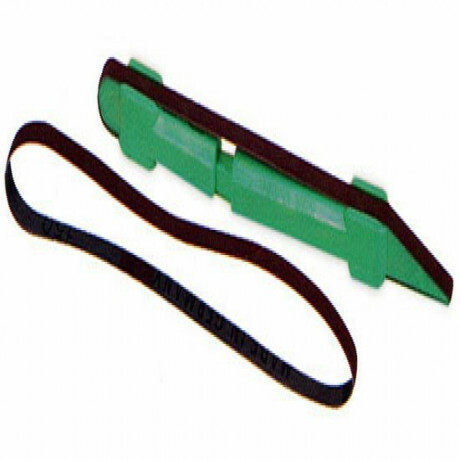 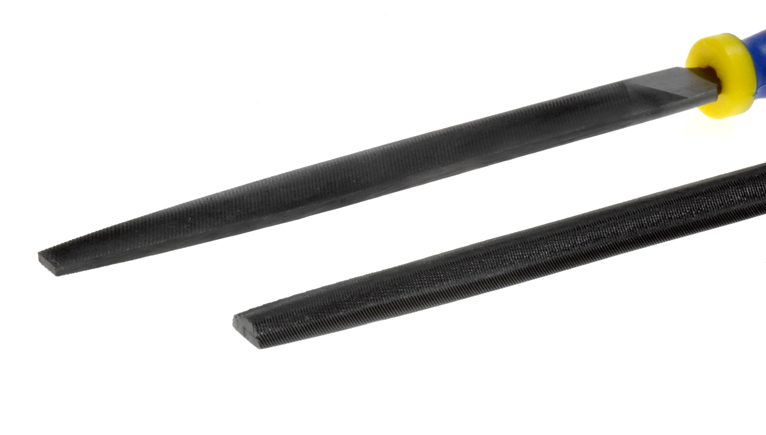 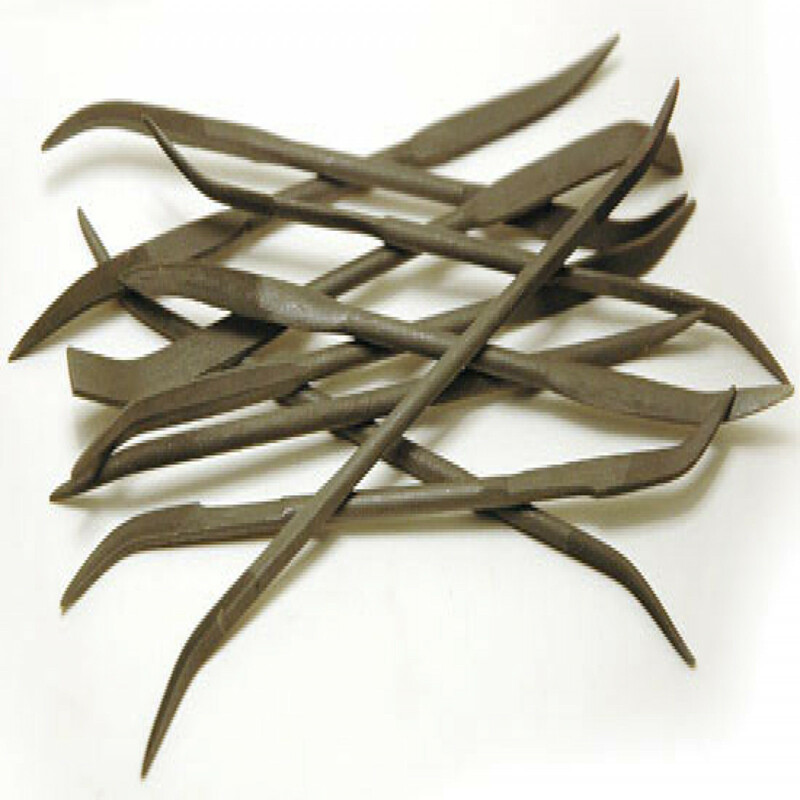 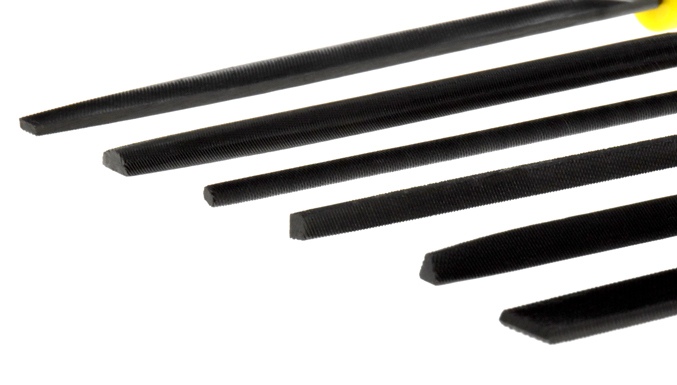 These files are 6-1/2” x 3mm in overall length and diameter, with a filing length of 3.5”. 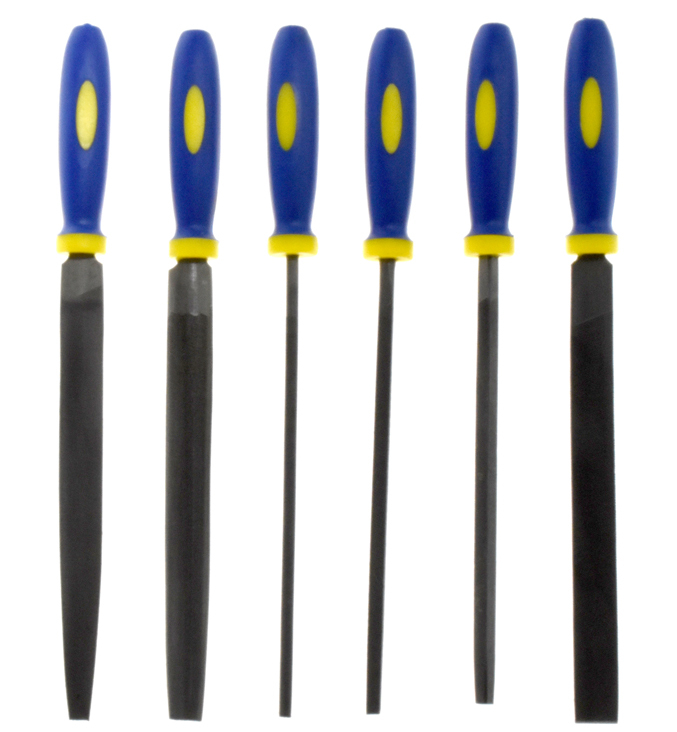 The handles are made of blue plastic for improved grip and accurate control over the direction of your filing.